Mrs. Trump is sending a powerful message by selecting the continent of Africa to embark upon her first major multi-country solo foreign trip as the first lady. The message is clear: She wants to address challenging and substantive issues both domestically and abroad. She is secure in her position and willing to spend her own political capital to take a stand for causes she cares about. The undefined role of first lady has many opportunities, one of which is being a champion for the causes she really wants to highlight to the American people. 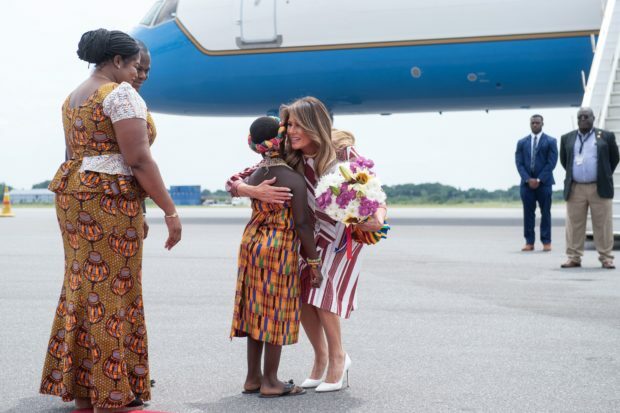 First lady Melania Trump has continued this recent tradition of first ladies aiming to make a difference in Africa, with planned visits to Ghana, Malawi, Kenya and Egypt over the next five days. Never shying away from her devotion to the plight of children, Mrs. Trump’s trip will feature a mix of visits to hospitals, schools, and shelters as she focuses on the well-being of children as part of her “Be Best” campaign. Mrs. Trump has formed a strategic alliance with the United States Agency for International Development (USAID) in order to highlight the agency’s work in each of the four countries she plans on visiting. This smart tactic will allow for USAID to receive more attention for the work they do not just in Africa but around the world. 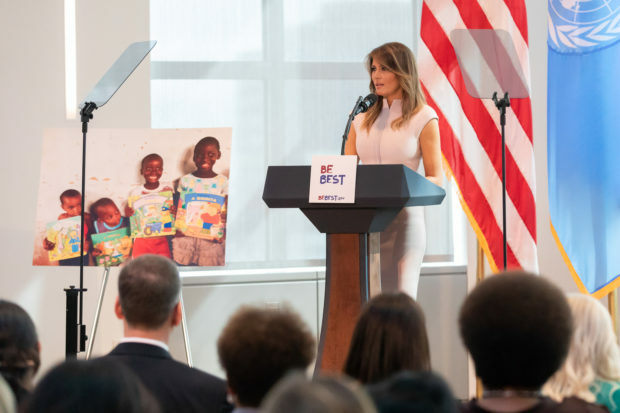 I am so proud of the work this administration is doing through USAID and others, and look forward to the opportunity to take the message of my Be Best campaign to many of the countries and children throughout Africa. Whether it is education, drug addiction, hunger, online safety or bullying, poverty or disease, it is too often children who are hit first, and hardest, across the globe. Each of us hails from a country with its own unique challenges, but I know in my heart we are united by our commitment to raising the next generation to be happy, healthy and morally responsible adults. If history is our guide for the types of positive outcomes that can come from a first lady focusing on African countries, Mrs. Trump has a great opportunity to make an impact. 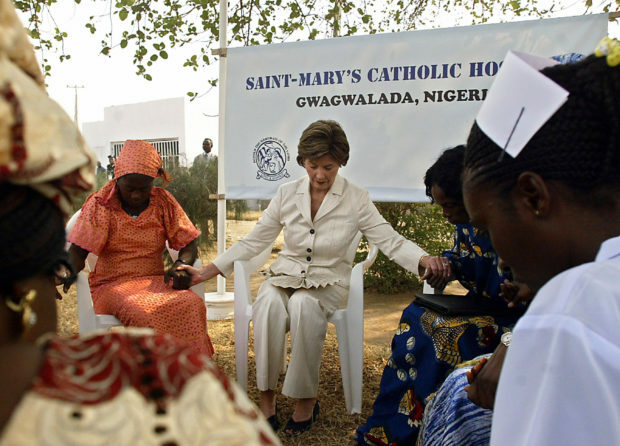 First lady Laura Bush went to Africa five different times during her time as first lady. It is estimated that nearly 12 million people across Africa are alive today due to President Bush’s Emergency Plan for AIDS Relief known as PEPFAR (President’s Emergency Program for AIDS Relief). Pat Nixon, the most-traveled first lady, was the first to make the journey, marking the first time a first lady officially represented the United States Presidency in Africa. Saying that her trip was a huge success is an understatement. 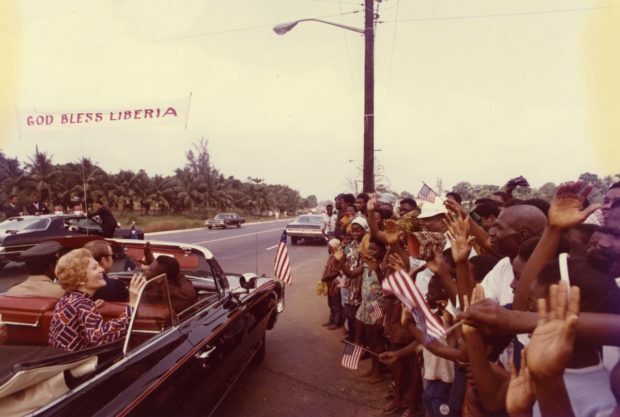 Finally arriving on the Ivory Coast, First Lady Pat Nixon waved to over 100,000 Africans lining a seven-mile route from the airport to the presidential palace. 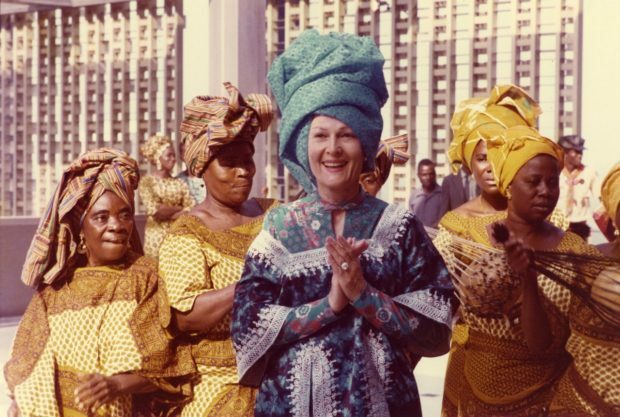 It is important to remember Pat Nixon’s trip to the African Continent not just because it was the first and highly successful, but also because it changed for many the way people viewed the first lady. Africa undoubtedly remains a continent of continued promise for advancement being home to the world’s 10 largest populations of young people and is a fruitful abundance of natural resources, history, beauty and much more. Mrs. Trump is a bold first lady, and she uses the attention and platform because she understands that the media is a significant tool that, if used effectively, can really make a difference in the lives of the most vulnerable, for her that is America’s children, and it is becoming clear that it is the world’s children too. Jennifer Boswell Pickens is a White House East Wing historian with an expertise in White House traditions, social events and first ladies. She is a highly sought-after speaker, and author of two books, Christmas at the White House and Pets at the White House. Follow Jennifer on Twitter at @JenniferPickens.